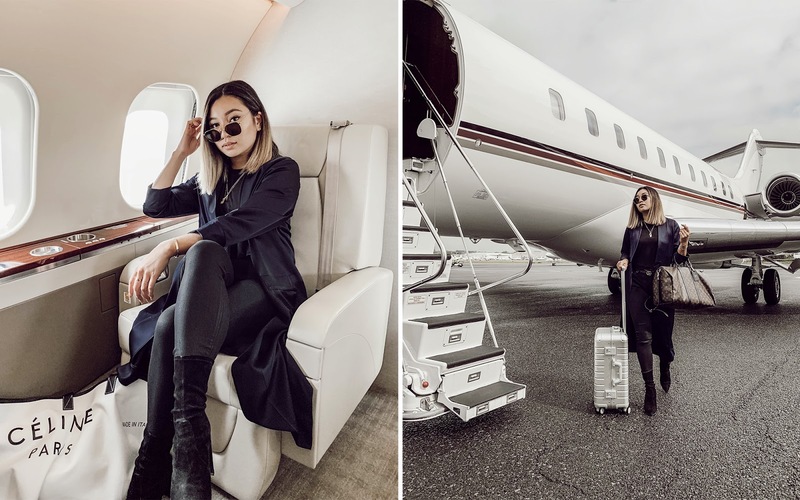 The best way to kick off a getaway with Four Seasons is boarding the Bombardier Global 5000 with NetJets for the most luxurious way to get to Philadelphia for the #FourSeasonsPopDown. I arrived at Teterboro Airport to wait for the rest of the group to arrive before this incredible experience begins. We lounged until it was time to get on the jet where we definitely made ourselves at home and started the morning off with champagne and breakfast by Chef Jean-Georges. A smooth take off and one or two refills of champagne later, we made it to Philadelphia and were ready for everything to begin! 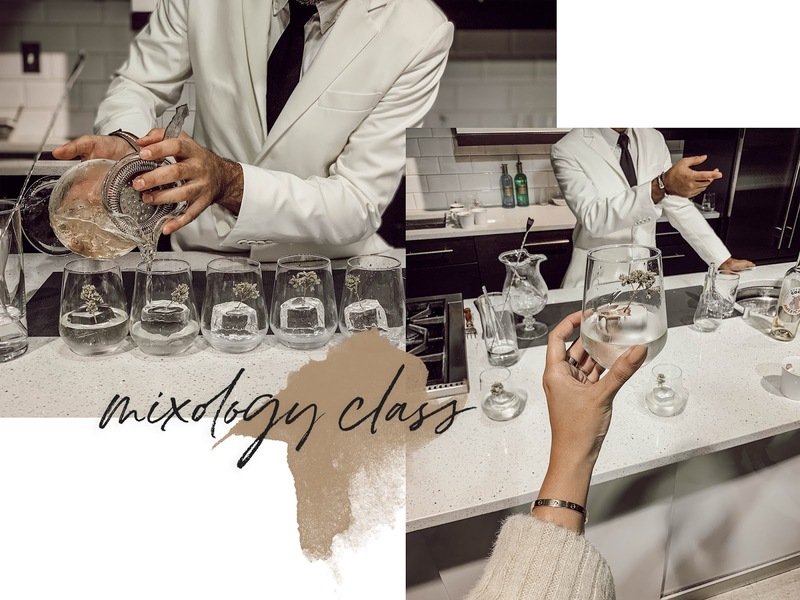 On our itinerary was a mixology class followed by a hardhat tour of the new Four Seasons Hotel that will sit on top of the Comcast Center. The hotel is scheduled to open next year and based on what I've seen and the renderings I got to take a peak at, it's going to be absolutely magnificent. We were also able to check out the model room that would show us how the guest rooms would be designed. The architect of the hotel is the incredibly talented Sir Norman Foster, and yes, he was knighted by Queen Elizabeth II because of his contributions and service to British Architecture. As an Interior Design graduate, I really geek out about that sort of thing. Every material and design choice had its purpose. It was so elegant and beautiful and although it was a cozier suite, perched atop the city of Philadelphia, all you need is that luxurious space and that incredible view to feel like you're just nestled in the sky. The city was full of beautiful floral installations by Jeff Leatham, known for his marvelous and breathtaking floral designs that can be found throughout several Four Seasons hotels. 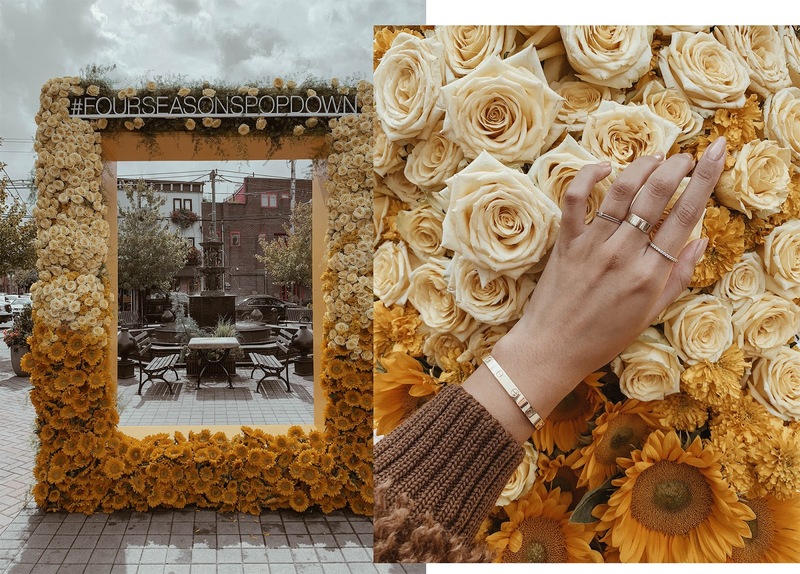 These installations are picture perfect and included the most beautiful florals to really celebrate Four Seasons coming back to the city of Philadelphia. The trip ended on such a fun note with the #FourSeasonsPopDown event where it was full of delicious food, flowers, good music, and a ton of people ready to have a good time. We danced the night away and definitely made our way through the party trying out all the food, drinks, and I must admit, some were so good we went back for seconds, maybe even thirds. We partied on a Philadelphia that was transformed into this beautiful oasis filled with florals, hidden lounge areas, candle light, and when paired with a view of the Philadelphia skyline, it could not have been more perfect. It was so amazing being able to experience the energy that night, everyone so excited for what's to come in just a few months. I know that I'm definitely going to have to go back once the hotel is finally opened. The city is really becoming such a great place for tourists and its locals, so much good food and just a beautiful place in general that houses so much history as well. I highly recommend adding Philadelphia and the Four Seasons to your travel plans next year because believe me when I say that this is an experience you surely don't want to miss out on. I loved the new group of friends I've made from this trip. It was great connecting and bonding over something in its early stages, sharing that experience and hopefully getting to all go together again next year. But until then, it was back to the city, but one last indulgence with NetJets to top off the trip. A special thank you to Four Seasons and NetJets and everyone involved who made this trip an unforgettable one! See you next year in Philadelphia for the opening!